The Minister of Labour and Employment, Chris Ngige, has called on unemployed Nigerians to register at the online job portal of the Social Intervention Scheme of the Federal Government. Ngige’s call is contained in a statement issued by Samuel Olowookere, the Deputy Director, Press in the ministry on Sunday in Abuja. The minister made the call over the weekend, while inaugurating the National Directorate of Employment (NDE) School-to-Work Programme in Calabar. He said it was imperative for all unemployed Nigerians to register at the online job portal in order to benefit from different categories of programmes which government was offering. “You must register to benefit from the Social Intervention Scheme. Unfortunately, as we speak, by last week, the portal has only recorded about 1.2 million persons. “We expect more persons to have been registered in the portal before our screening exercise; the registration on the portal is Npower.ng.org. The portal closes Aug. 31, which is just few days away. “For those who are not computer literate, we advise state governments to encourage them by using local government chairmen to move into local government areas to register the unemployed persons there. “So that they can qualify to be considered for the scheme. Each state of the federation is expected to recruit about 1, 500 persons,’’ he said. Ngige, however, said that the School-To-Work programme was a renewed vigour by the ministry to catch them young. The minister said it was also a bold attempt to build a future Nigeria where white-collar jobs would be unattractive. “We are building a generation of Nigerians where creative thinking, self-confidence and dignity of labour will challenge the prevailing unemployment scourge. “We are building a generation of Nigerians who will not only create wealth with their hands, but are proud employers with skills from hands that God has given them, ‘’he added. Mr. Ngige said the programme which was a two-month vacation creative job learning scheme, was organised for students in JSS 1 to SSS 2 classes in order to provide them with early skills. He added that this set of students would graduate to higher skills training during the next vacation, while others succeed them. “By this, we are re-thinking a university education system where graduates fold hands and wait for food on their table,” Ngige said. He said 150 persons would be trained yearly from each of the states of the federation under the scheme. He said the headquarters for the six zonal training centres were Calabar, Anambra, Bauchi, Katsina, Kogi and Ondo. The minister said the programme was built with enough provision for decent work in line with the International Labour Organisation to foreclose the possibility of child labour. Earlier, Kunle Obayane, the Acting Director-General, said the NDE was constantly preoccupied with providing initiatives that would address the ever changing forms and patterns of unemployment in the country. Mr. Obayan said the programme was designed to provide diverse vocational, agricultural and entrepreneurial skills training for secondary school students during long vacations. He said the age grouping was the best peak to tackle youth unemployment with acquisition of skills. The News Agency of Nigeria reports that Ngige had earlier paid a courtesy visit to the State Governor, Ben Ayade, who commended the minister on his innovative approach to tacking unemployment. 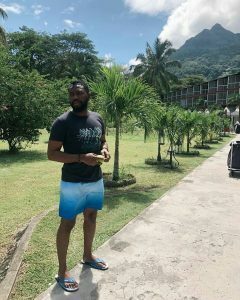 Ihuoma Linda Ejiofor-Suleiman & Her Husband are on Baecation and Living Their Best Lives! For now though we’re looking at last year’s Apple phablet release in the video below that comes from Adrianisen. A liberal democracy should respect all members of society as equal. With limitless assets, constructing potent offenses and robust protection is extremely significantly possible.